This popular place is open for 4 years with its rich menu. It offers you dishes from French and Ottoman kitchen together with delicious Turkish starters. You can also taste different alcohol and coctail samples in this decent rastaurant while listening to live music performance every day. 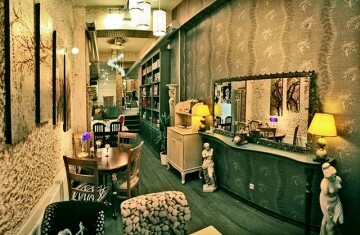 This restaurant creates a warm and relaxing athmosphere with its setting and combines old and modern. You can choose indoors to have that antique feeling; or go outside and take the Bosphorus air in. Being open every day, the restaurant begins serving for breakfast @8 am. For dinner you can have from Italian, French, Asia, Turkish kitchens or Tex-Mex. Late in the evening bar lounge dance musics are offered. Here are some suggested dishes: Tempura, Nisuaz Salad, Penne with Vodka, all kinds of Fajita, home-made Cheesecake. Enjoy it! 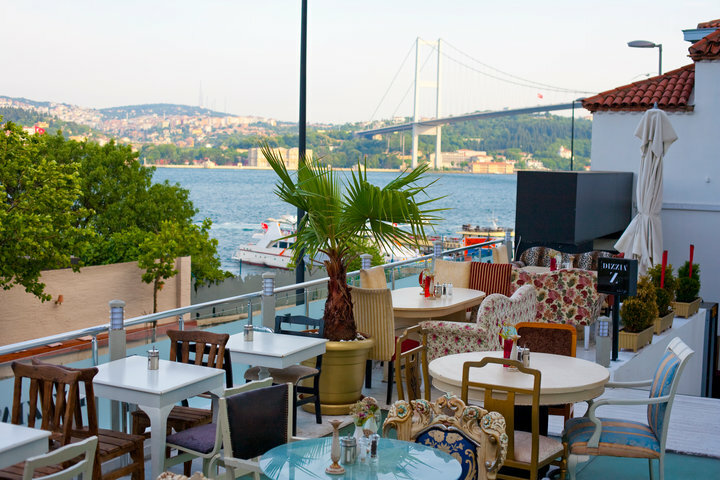 With this definitely the best French Restaurant in Istanbul, you will spend great time while enjoying your meal and the admirable view! Unlike other restaurants, this place has a hotel part. You can have your room with the historical peninsula view and in the morning enjoy the all-u-can-eat buffet. Open since 1993, the restaurant and the hotel are quite experienced. Being restorated constantly, the restaurant is open since 1895 and thus both modern and authentic. Various dishes from French, Italian and Turkish kitchen are prepared with unusual cook techniques and the serving is undoubtedly wonderful. It is one of the first class and elegant restaurants. If you are for spending a nice night in Beyoglu, try the "Chef's Special Menu". With its bar and lounge, this challenging place is open till 2am. It is not just French kitchen but various dishes from world kitchens. Has a quite rich menu of alcohol and coctails, offers music and fun.